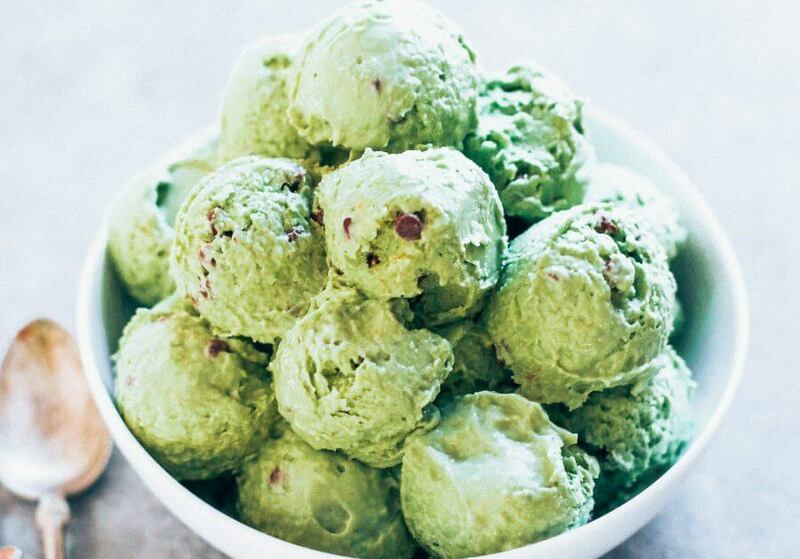 Okay, so this mint chocolate chip ice-cream thing is outta control. I’m the kid who used to strictly eat mint chocolate chip or vanilla- that’s basically it. And this one made with all the avocados has won my heart. 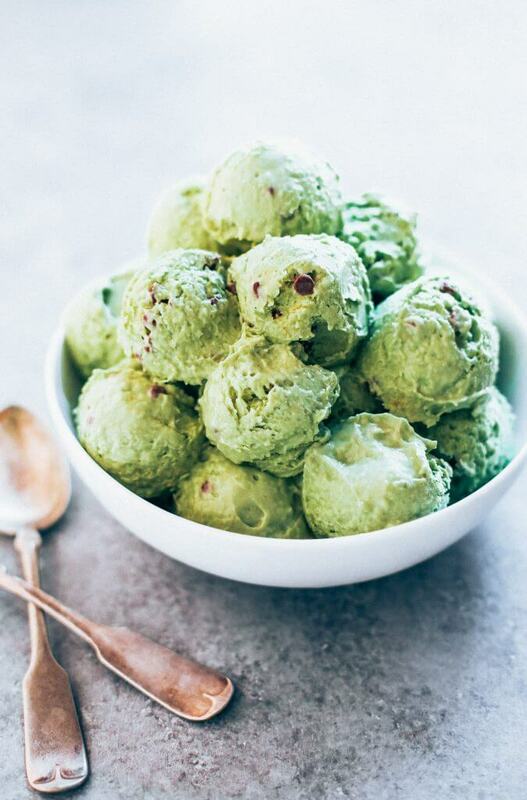 And the best part about this recipe is: you don’t need an ice-cream maker!!! All I do is pop it into a metal bowl and let it chill out in the freezer for a bit until it’s nice and thick and creamy- cone licking worthy. 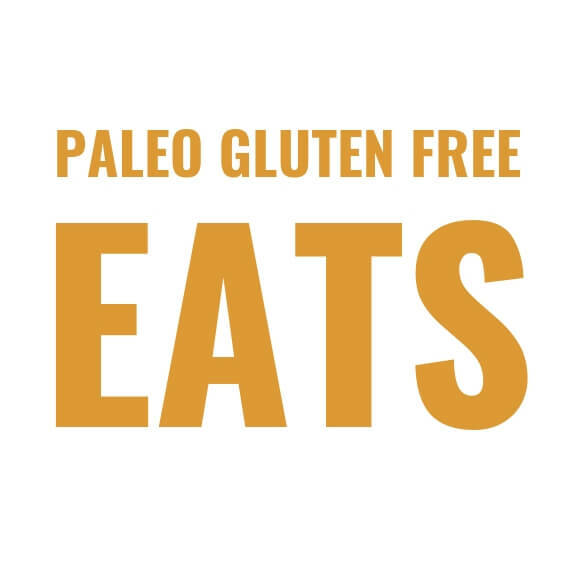 If you are looking for a dairy free ice-cream recipe that is made with pure ingredients and good for ya, then this is it! 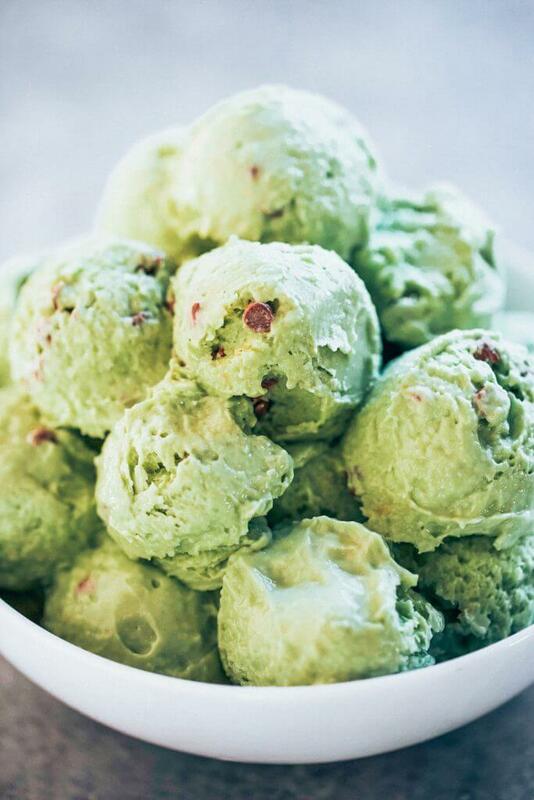 But lucky us, mint chocolate chip ice-cream is already green, so we’re all good here. 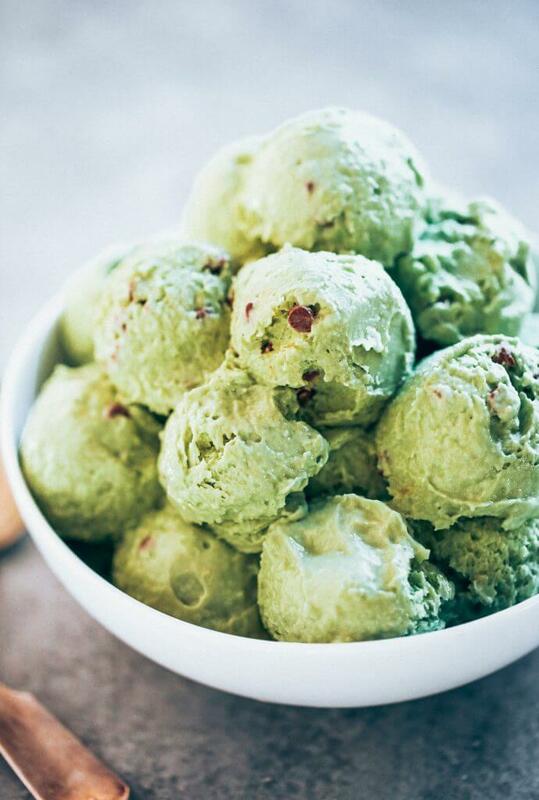 Mint chocolate chip ice-cream made with avocados! 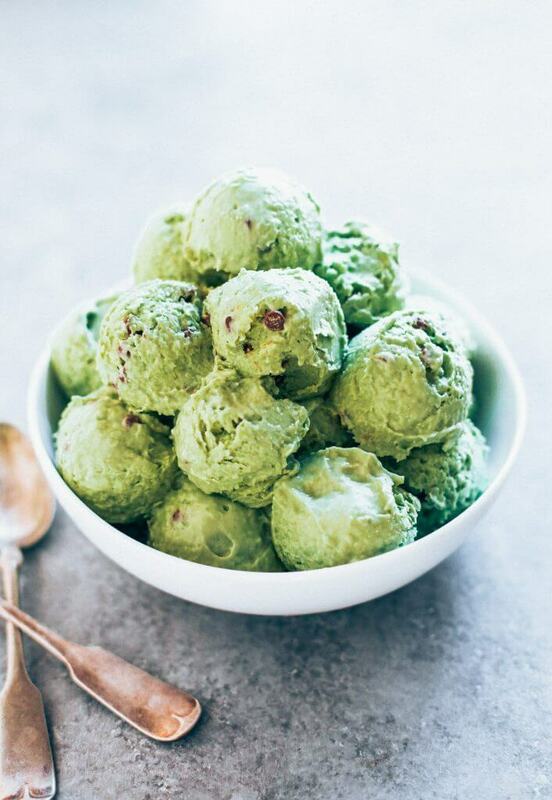 Dairy free and delicious ice-cream recipe that you DON'T even need an ice-cream maker to make this recipe! 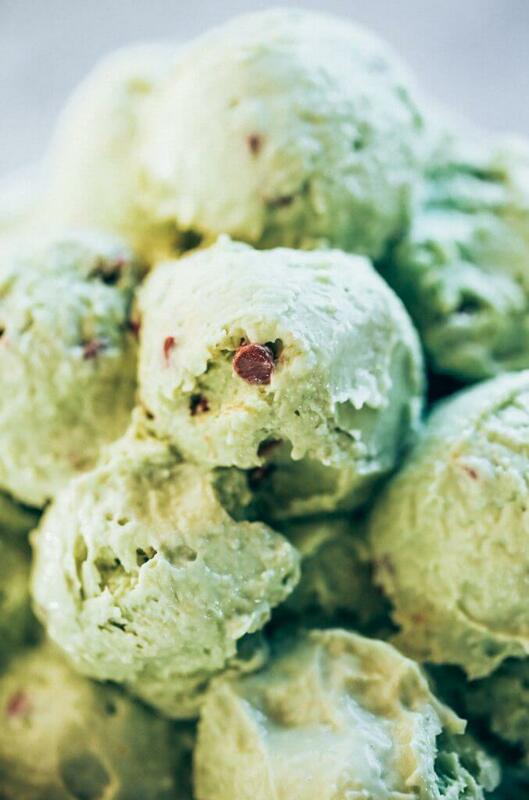 Love this paleo and vegan recipe for mint chocolate chip ice-cream. Can peppermint essential oil be substituted for the mint extract? And, can I use my ice cream maker? Hi Gloria, you can use an ice-cream maker and I’m not sure on the essential oil, but it sounds like it might be worth a try? Do not eat essential oils!!!! Can I use a glass bowl instead of metal? 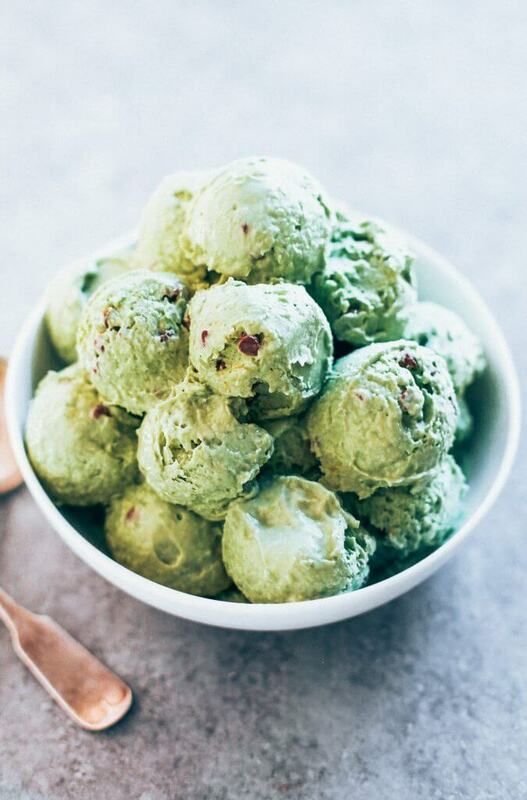 Hi Kaylie, I made this and I just cant seem to mask the avocado flavor! Maybe I needed to add more mint or more coconut milk? I did follow the directions to the t. ?? You have written the nutrition facts, and I see the recipe makes 12 serves, but approx what size is a serve? Thanks.